The Dean’s family had founded their book publishing business in 1711 and during the next 200 years or so, prospered greatly. In 1902, one of the Deans family, a certain Captain Henry Samuel Dean, together with a fellow director of the firm had produced a rag book. This was a fairly simple affair – a single colour print (except for the cover which had two colours) on calico. It had the benefit that when soiled by a child, it could be washed rather than expensively replaced. It was offered to the Edwardian nannies of the day at a cost of 5 shillings (between £40 and £50 today) and proved an instant success. On the back of this single marketing sample, The Dean’s Rag Book Company Ltd. was formed in 1903 with its manufacturing unit in Fleet Street, London. 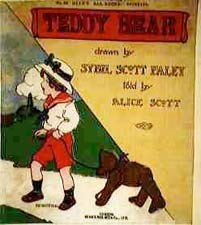 Diversification followed and rag books in all sizes were made – and in colour. Photograph Albums, postcard albums, cut-out doll sheets, kites, blow-up toys and rag dolls were just some items produced over the next ten years. 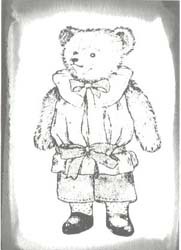 At the outbreak of the First World War in September 1914, Dean’s, like many other firms in the burgeoning toy industry tried to make good the shortage of imported toys from Germany and Austria and in 1915, produced its ‘Kuddlemee’ catalogue which contained illustrations of 3 mohair bears. We know of no-one who has seen these bears in recent times. Pictured left is Master Bruno – c.1915. In 1917, moulded faced dolls were produced for the first time and over the next 20 years, the Dean’s Rag Book Company Ltd. grew to a position of prominence in the British toy industry. Character merchandise began to appear – Dismal Desmond in 1926, Mickey Mouse in 1930 and were followed by Pluto, Goofy, Lucky Oswald, Popeye and others. 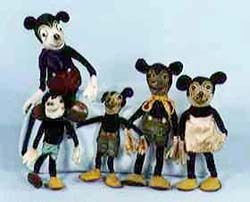 Pictured right are Mickey Mouse Toys from the 1930’s. Dean’s were involved in the war effort during World War II and it took some while to return to former glories. However, by 1954, the Dean’s range was once more comprehensive and now featuring bears and gollies as never before. Pictured left is Nigel – c.1937. The Company moved to Rye in Sussex in 1955 and in 1972, to Pontypool in South Wales. In the 1980s, the introduction of cheaper toys from the Far East made it impossible to to carry on as before. Pictured right is Welsh Lady – 1996. 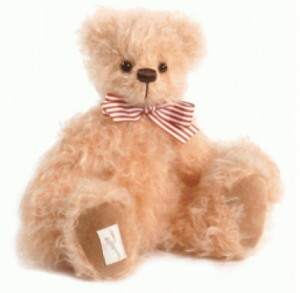 The husband and wife team of Neil and Barbara Miller who had bought the Company in 1988 began to introduce Limited Edition bears to their range in 1991 for the British market. 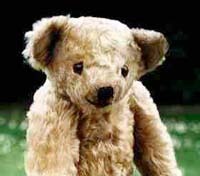 (Some bears had been made earlier in the 1980s specifically for the U.S. market) The production of collector bears soon overtook toy production with the last rag book being produced in 1997. 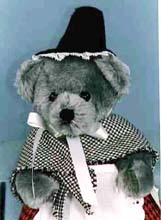 Pictured left is Harry, the 2012 Dean’s Club membership bear. Harry is in fact the 18th member of the Dean’s Collectors Club. Harry’s mohair is supplied by Schulte, and is specially commisioned for Dean’s. The mohair is a corn gold colour and has a ratinee finish which we think gives him much more character. He is fully jointed and has black eyes. His pads are made from a camel coloured suedette material and his right foot has the Dean’s Rag Book label and his certificate is numbered. The Millers, now aided by their son, Robin, have once more steered Dean’s to a position of prominence – this time in the Collector Bear market. Not only do the Miller family now design the range (Artist Showcase excepted), they also do their own photography, catalogues, brochures and now their Internet site themselves – a truly family concern. The Dean’s Collectors Club membership benefits include a copy of the current years Dean’s catalogue, a lapel pin, a pen, and regular magazines and updates.